No lab coats, no bulls*t and no lock in contracts! Our hair loss treatment is proven to grow healthier, thicker hair for dudes who’ve noticed they’re wearing a lil’ thin up top. Subscribe today and grab all the best vitamins for hair growth, which combined with our minoxidil solution, will get your head back into fine, Fabio-esk form before you can say where the f*ck’s my hair gone!? The sooner you start, the sooner you’ll get it back. Peace, love and rad hair! 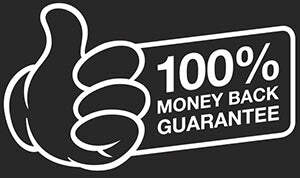 We offer a 90 day money back guarantee on your first quarterly program should you be unsatisfied for whatever reason. Clinically Proven to Work For Less Than a Beer a Day! So what you need is a DHT blocker and guess what? Our hair growth treatment has exactly that! Little Pals act like burly bouncers for your scalp and DHT is not on the guest list. Once the DHT is taken care of, Gone Toppo is there to support by enhancing blood flow to the scalp – which is key to healthy, high production follicles. Gone Toppo also directly nourishes the scalp with nutrients as it absorbs the solution over the course of several hours. Dead follicles are evicted and healthy hair follicles take up residency, allowing you to look your best. Just like plants, you've got to keep that scalp showered with nutrients. Our hair growth treatment has been clinically trialed, tested and refined to combine the most succulent vitamins and minerals for your follicles. Find out exactly what nutrients each product provides to your scalp below. How does the hair growth treatment actually work? 5. Arriving on your doorstep, like clockwork! You'll never have to worry about running out of joebloe with backups arriving each new subscription cycle, on the dot.